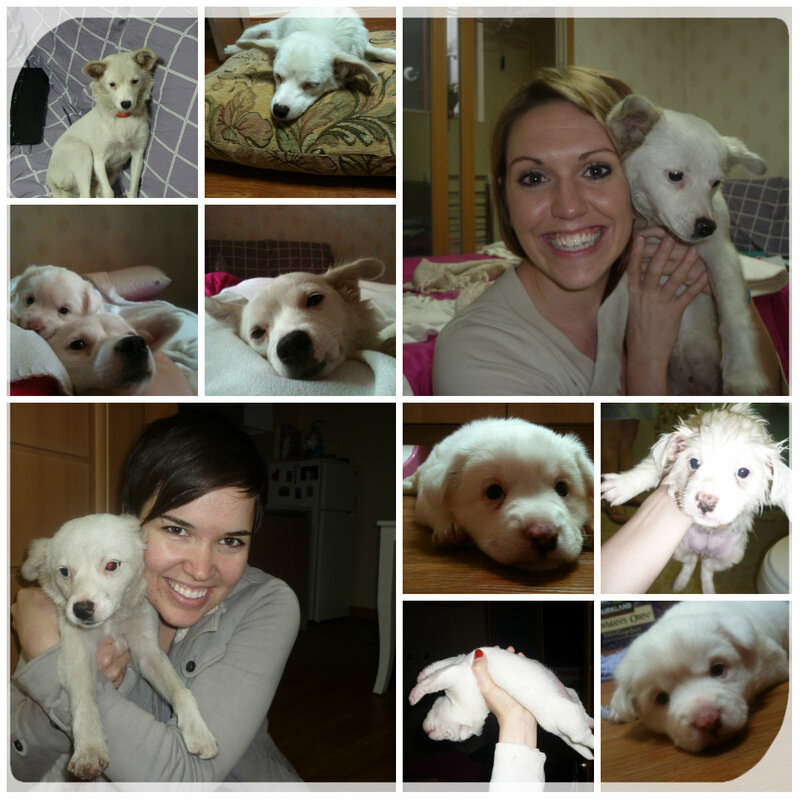 My blog wouldn't be complete without a post about my 1 + 1 companion Alisha! I wouldn't have made it this year without her. There were challenges, fun times, hard times but all in all I wouldn't trade any of it. We both have said that somehow this was one of the best years we and one of the hardest years we have had. For the record the challenges and hard times weren't because of us fighting! Our only fight (we even have a witness) was over each of us insisting the other take the last of the milk and I don't really count that as a fight! We both are thankful the Lord preserved our friendship. 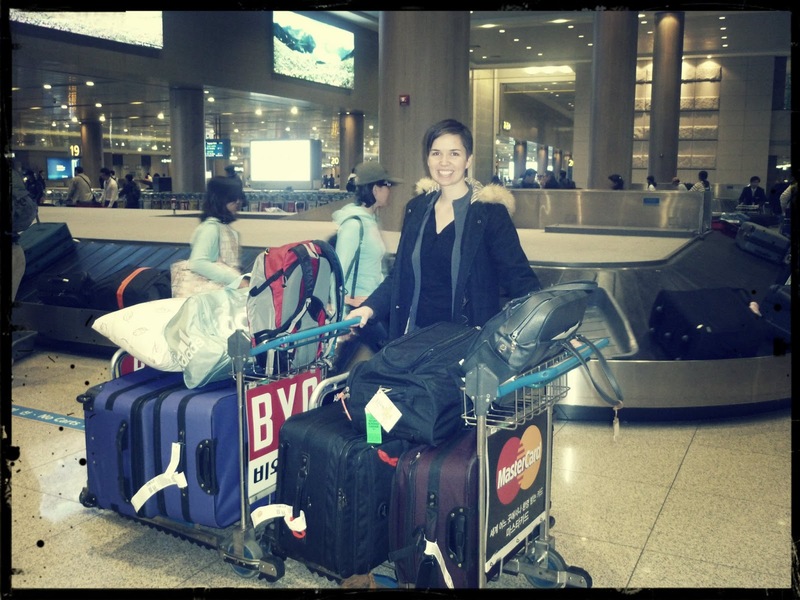 Our journey wouldn't be complete without the mass luggage we hauled across the world. I'm ashamed to say we both had two 50lb. suitcases, two carry-ons and I managed to haul my pillow and warm blanket. 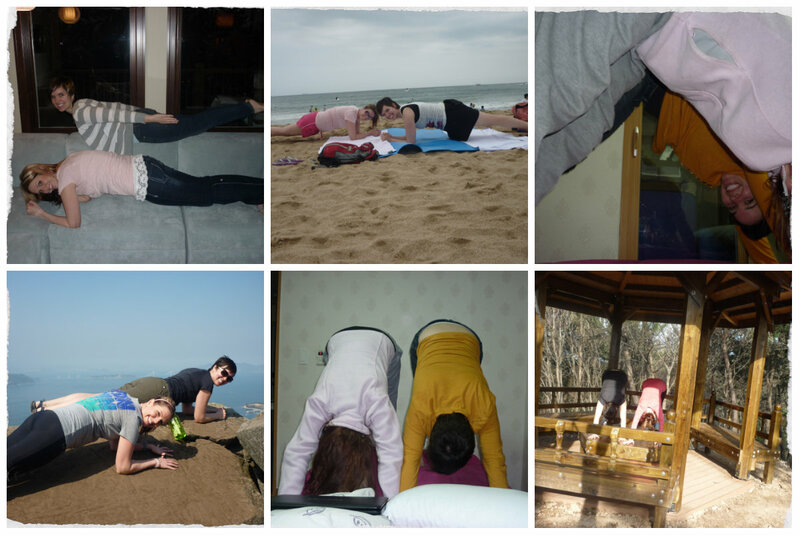 After living in Korea we realized how ridiculous we were about hauling so many unnecessary things. Among the 200+ pounds we both hauled together we somehow didn't think to pack lots of food from home. 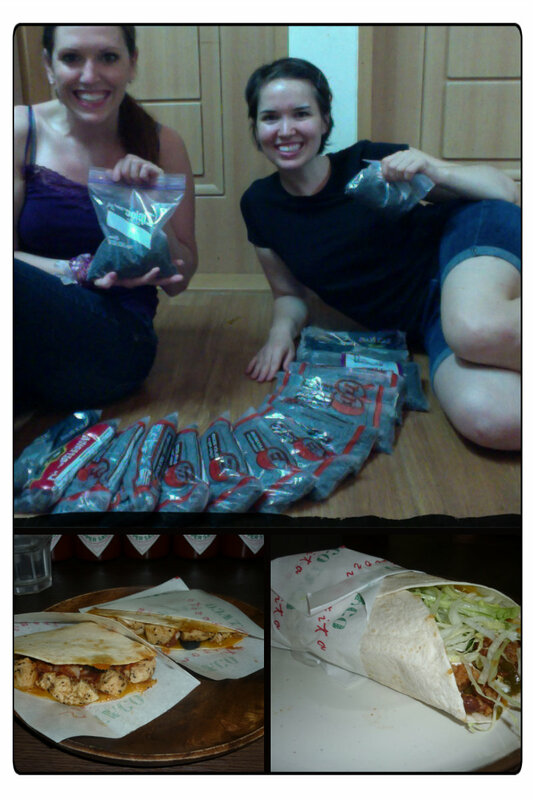 However, our friends and family were kind enough to send us 26 bags of black beans! We were known as the 'black bean' girls. 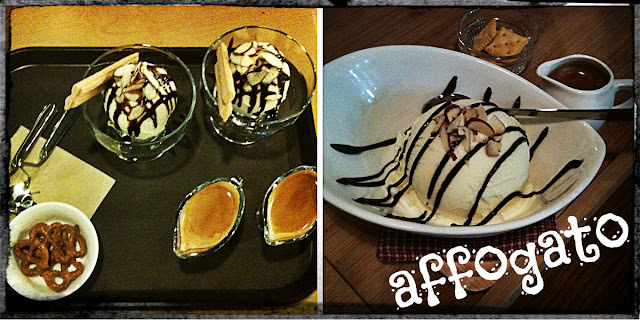 We also appreciated Mexican food like never before! Teaching was hard but affogato's were oh so good! We loved them at night and hated them the next morning as an espresso shot poured over ice-cream around 8pm at night didn't allow for much sleep! 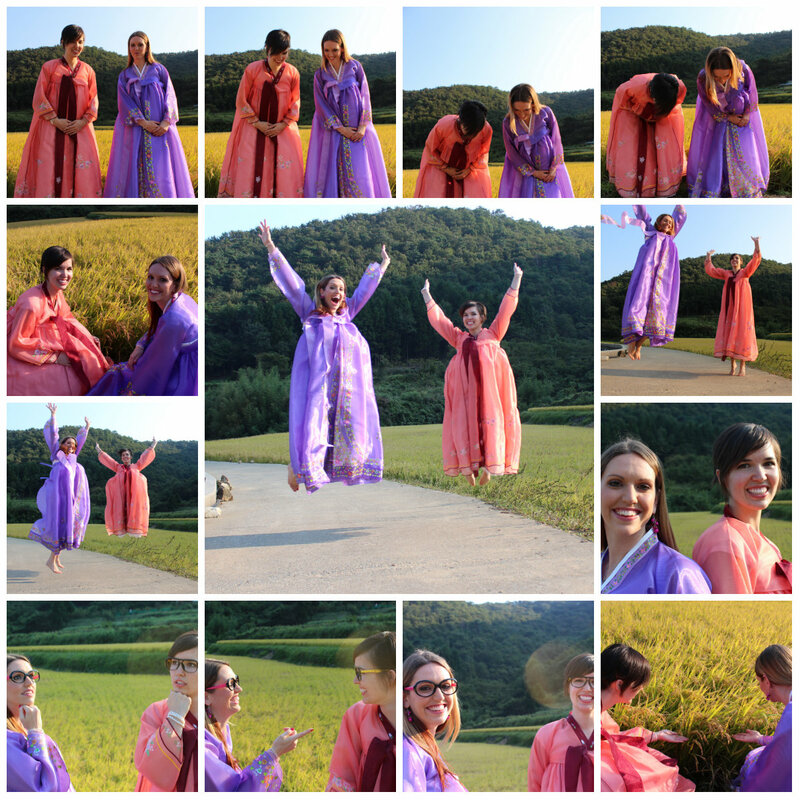 We got ahold of traditional hanboks and our friends took a photo shoot of us. We laughed and laughed and laughed! Let's not forget the dogs! Sobe adopted us...ok, I let her out of the dog pin, brought her to the apartment and then she adopted us ... same thing, right? Anyways, Sobe LOVED us so much she even birthed her cute little baby Rea in our bathroom. They are now living happily on a farm running through the rice fields, or so we hope! We worked out like there was no tomorrow ... ok, not really. But we took pictures of us planking and doing yoga random places and that counts for something! At least we had lots of fun! And last but certainly not least we successfully taught kids! I think I can speak for both of us when I say that these kids changed our lives. 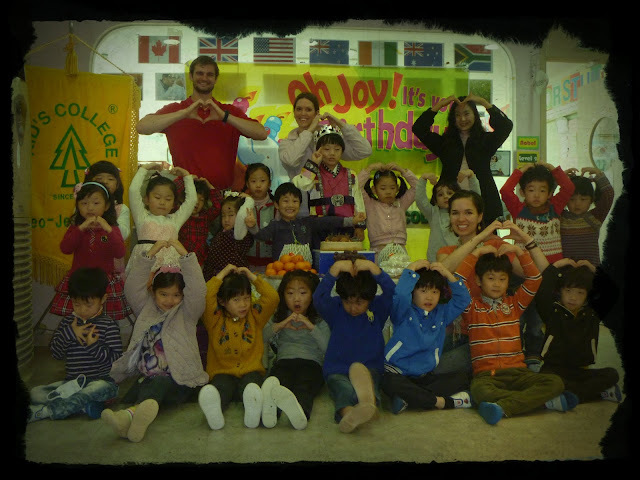 I can't tell you the Korean school was easy because it was one of the hardest things I have ever done but the kids were so worth it and I'm glad Alisha and I were there to help each other! Sharing the love of Jesus with these kids and investing in them was worth the hard times! These pictures barely begin to capture our year together. At the end of the year it wasn't 1+1 but was 1+1+1 with God being the first one! He carried us through this year as Alisha and I both know there is no way on Earth we could have done it without Him and I'm so thankful He did! Beka, I love this...I absolutely LOVE this!! Such a great blog full of memories and fun. Miss you! Thanks! I had fun writing it and I'm so grateful for all of the memories! I miss you too but sure do hope to cross paths again!